Map maker : GUICCIARDINI, L.. Size : 9.1 x 12.4 inches. / 23.0 x 31.5 cm. 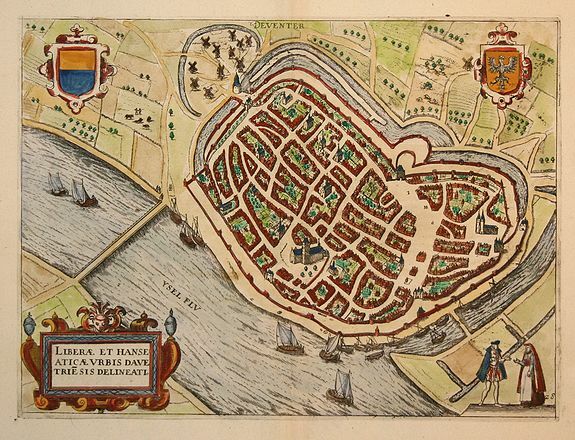 Description :A fine bird's eye-view plan of the town of Deventer from Ludovico Guicciardini's description of the Netherlands.